I'm gearing up my head for the Comic Book Ink chalking event that's going to happen on September 3rd which will be celebrating the debut of the DC Reboot! Consequently, my blog entries for the next couple of weeks will be DC Universe orientated. 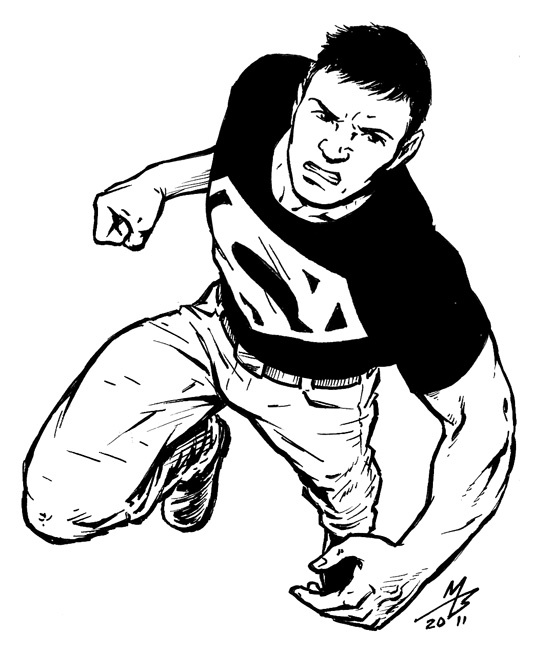 So we're kicking things off with Superboy. I love the black tee and cropped hair and jeans and attitude! He's a little PO'd because Supes doesn't acknowledge him, he was basically created to be used as a weapon and still he gets no respect. But at least he's a stud. Gettin' Ready for The NEW DCU! Dr. Zaius in the house!